Kris is Toronto, Ontario’s talented barman with a passion for beautiful cocktails and refined technique. Before he headed north, he created specialty cocktails for Cafe Boulud, Palm Beach, Max’s Harvest in Delray Beach and Rebel House, Boca Raton. 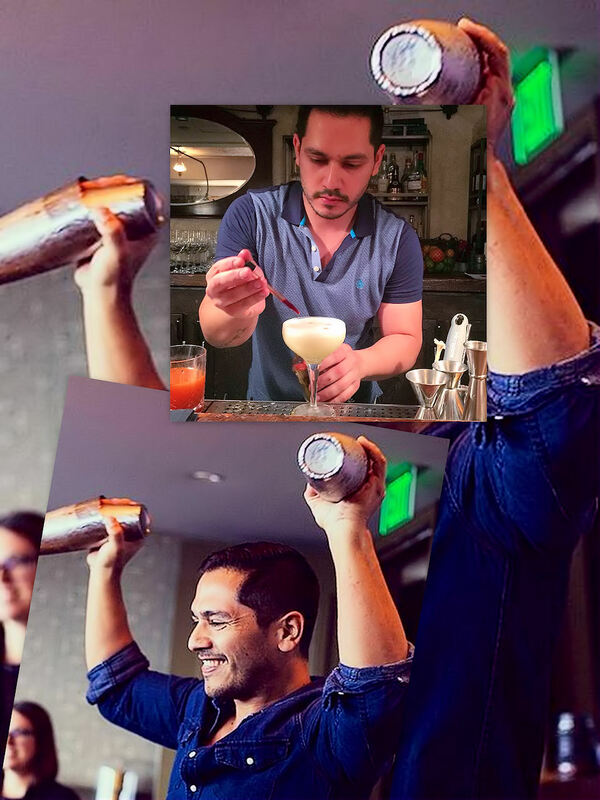 He worked with Tanduay Rum in South Florida as a mixologist specializing in cocktails and infusion programs. Not only talented in mixing libations, he was also an online writer for Flairbar.com; “flavors” section. I follow his cocktail creations on facebook and instagram, hoping to imibe and enjoy one in person very soon. Known for … I’m best known for my presentation and creativity in cocktails. I’ve been lucky enough to work in several bars where I was given the freedom to really push the limits. I also love using molecular gastronomy techniques behind the bar when it makes sense. Your go-to drink is … Hard to pick one, but I can give you three and they’re all what you should serve the most beautiful lady at the bar. 1) French 75: lightly sweet and tart with effervescence. 2) Cloverclub: Thank God Nick Nistico told me about this drink. It’s so simple but guaranteed to knock anyone’s socks off. 3) Espresso martini: vodka, simple syrup and freshly pulled espresso. Timeless, simple and beautiful. Must have Garnish … Citrus. Sliced in thin wheels or precisely cut peels. There’s endless possibilities. Best local bar … Gotta say Rush Lane. My best friend is the bar manager and it’s the only bar in downtown Toronto that you can walk into and knock back shots of Jameson with the city’s best bartenders just about any night of the week. You are loving …Tea. Shaken into cocktails, infused directly into spirits and with syrups, whipped into a foam or emulsion. There’s so many flavours of tea that you can do so many things with. The infusion and effects are almost immediate. Tea also adds a soothing bitterness to most cocktails. It’s one of my favourite tricks when I’m getting creative behind the bar. This time next year you’ll be drinking … Hopefully some very rare and delicious single-village Mezcal followed by some hoppy Ontario beer.